Americans think texting or reading texts while driving is as dangerous as driving drunk, but that doesn’t stop them from doing it, according to a recent online survey by Harris Interactive. The survey shows that 94 percent of the 2,045 adults describe texting while driving as dangerous or very dangerous and 91 percent similarly describe reading texts while driving, comparing the activities to consuming three or more alcoholic beverages before taking the wheel. 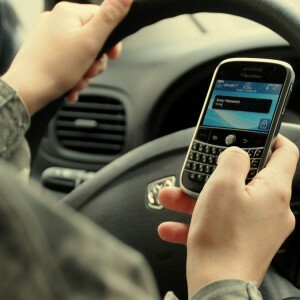 Two-thirds (68 percent) even believe texting is as dangerous as driving after just one or two drinks. “But, of course, knowing something is dangerous doesn’t necessarily mean avoiding it,” said Harris Interactive in a press release accompanying release of the data. Strong minorities admit to reading text messages (45 percent) or sending text messages (37 percent) with about a third of those saying they exhibit those behaviors frequently, according to Harris. More than a third (37 percent) also say they’ve looked up information online while driving. And the paradox doesn’t end with texting or online searches. Although most motorists with cell phones believe that talking on a device while driving is dangerous, three-fourths (74 percent) say they do it, with two in ten (21 percent) saying they do it frequently. Usage results range from 85 percent among Generation Y, so-called millennials ages 18 to 36, and 79 percent among Gen Xers, ages 37 to 48, to 52 percent among Americans age 68 and older. Millennials generally take part in mobile phone activities related to distracted driving at higher rates than older drivers, which makes sense considering that age group perceives those activities as less dangerous than other age groups do based on the survey results. A lot more survey details, including charts of the results, are available online at Harris Interactive. Visit the Santander blog regularly for more news on auto-, auto-finance and SCUSA-related topics.